Snow White Gargoyle. Brianna: Snow White as a gargoyle, done for The Gathering of the Gargoyles convention. 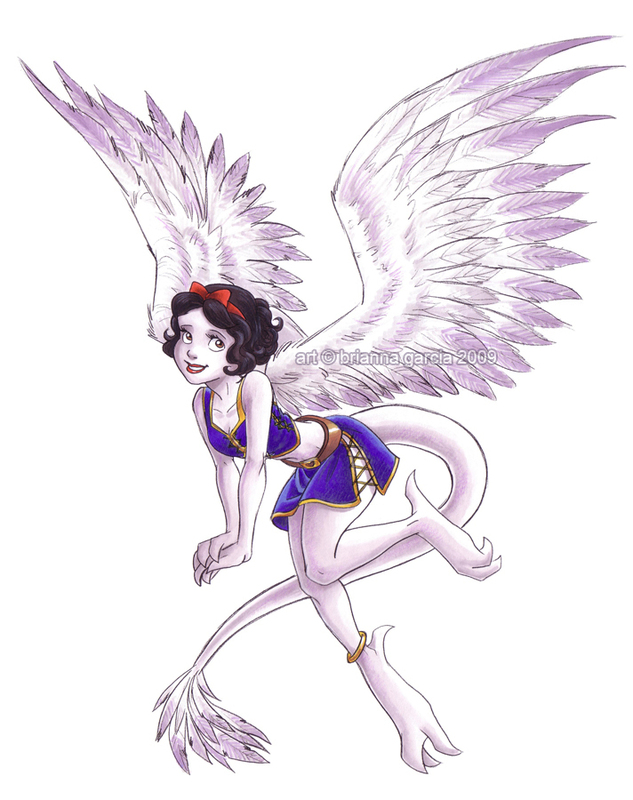 Since Snow White is the youngest and most innocent of princesses, I gave her feathered wings for a और angelic look. Prisma markers/colored pencil. HD Wallpaper and background images in the Snow White club tagged: snow white gargoyle fan art wings prisma markers colored pencils. This Snow White fan art might contain मोबाइल फोनों के लिए, हास्य पुस्तक, मंगा, कार्टून, एनीमे, कॉमिक बुक, and manga.